Frocks, Frye & Other Deals Around D.C.
Orange you glad it's Cyber Monday? OK, we're sorry we went there. But the deals aren't just coming from major national retailers -- even local shop owners are sharing steals today. Snap 'em up online or skip the ship fees and head on down after work. 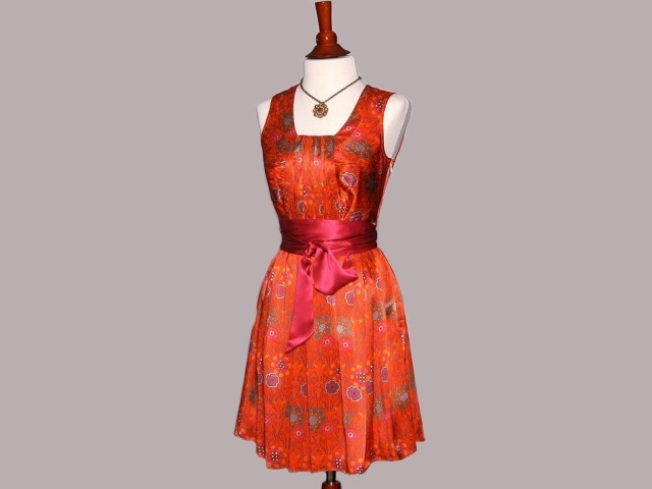 Our first pick is the bright orange Parameter silk print dress (was $228; now $114), which comes with a detachable belt. You could stick this one in the back of the closet until spring, but we'd suggest some charcoal gray tights and a cropped cardi. Available online or at Periwinkle (1557 Potomac Greens Drive, Alexandria). Guys, ditch BestBuy.com for a hot sec and leave the electronic achievements for later. The contrasted coloring in the Orthodox Kipling Pullover is still black and gray, perfectly suitable for a dreary-looking post-holiday Monday. Ooh, and it has a buckle around the collar! Whee! Right now it's $112.50, down from $150. Available online or at Redeem (1734 14th St. N.W.). Seeing Frye boots on sale is generally akin to a religious experience. Stay warm and stylish in Frye's distressed Billy Boot, a tall cowboy boot with a broken-in look. Today they're $238.40 (originally $298). Available online or at SimplySoles (1438 Park Rd. N.W. ).